Today I bring to you the latest in the social pug profile series. I am excited to share with you all the dynamic duo that are Pugsley & Loki. These 2 adorable guys live in England and lead a pretty awesome life. I adore the photos their parents take of them and that they have been lucky enough to have their portraits professionally taken. So I introduce to you Pugsley & Loki. Loki: When my food bowl is full! Pugsley: I am a pro at tricks like ‘leave it’ and ‘take it’. I am able to resist a treat unlike my brother! Loki: My face! I have an ability to make people smile when they look at me! Loki: Eat, sleep, maybe run round for a bit, sleep some more, eat some more and then…. Oh yeah, sleep. I try to get into the dishwasher most days too but my humans don’t like that, can’t think why. What is life like having to share your humans with a sibling? Pugsley: Its great having someone to use as a pillow whilst sleeping, someone who cleans your ears daily for you, someone I can chase around the garden… the only bad thing is when it comes to dinner time, he eats his food then it’s like he becomes the Incredible Hulk and wants to eat mine too. Loki: I am not very good at sharing as you can probably tell! If I think my brother is getting too much attention I have to muscle in and distract them with my ‘cute face’ look. 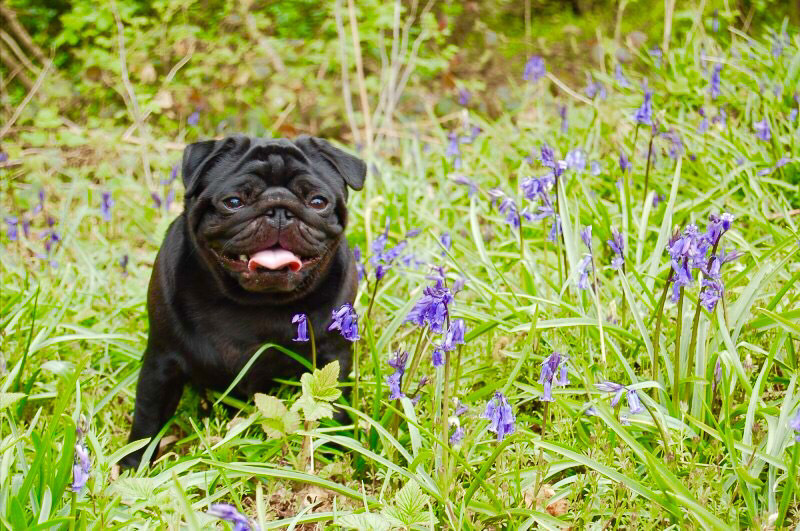 A lot of pugs haven’t had the pleasure of being photographed by a professional photographer. I see you both have had a professional photography session done together. Can you share your experience of the session of being photographed? 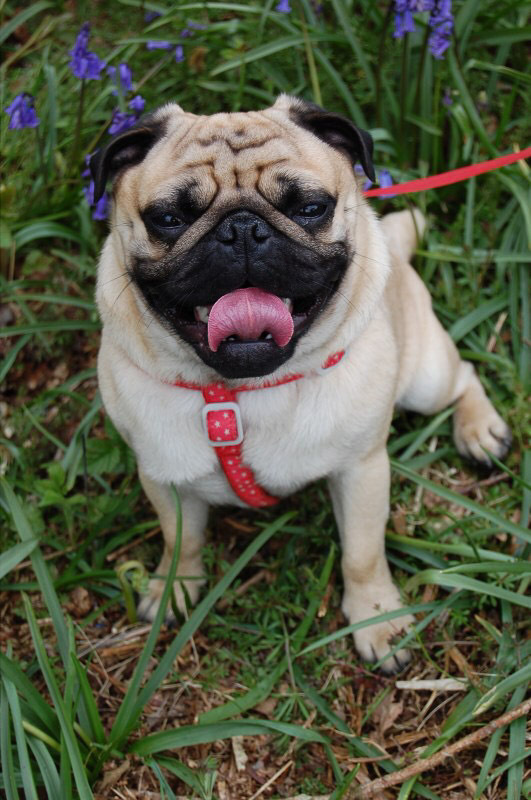 Pugsley: I am a real star when a camera is pointed at me and I can even lay down and pose! I like to keep in shape for the camera by running around all day! Loki: My parents love taking photos of us all the time and my brother and I have been on a couple of photoshoots now. I will only pose if I’m offered a treat! 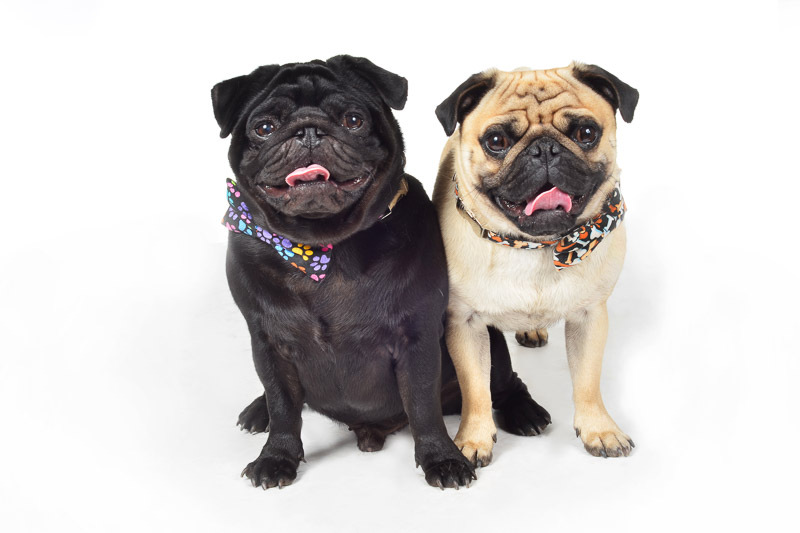 Be sure to leave Pugsley & Loki a comment below for them to read. I’m sure they will love hearing from you all. Very cool! We love getting to know more about our lovely Instagram friends. We seem to share a lot of the same interests (food). Thanks for stopping by Spike and Zira. 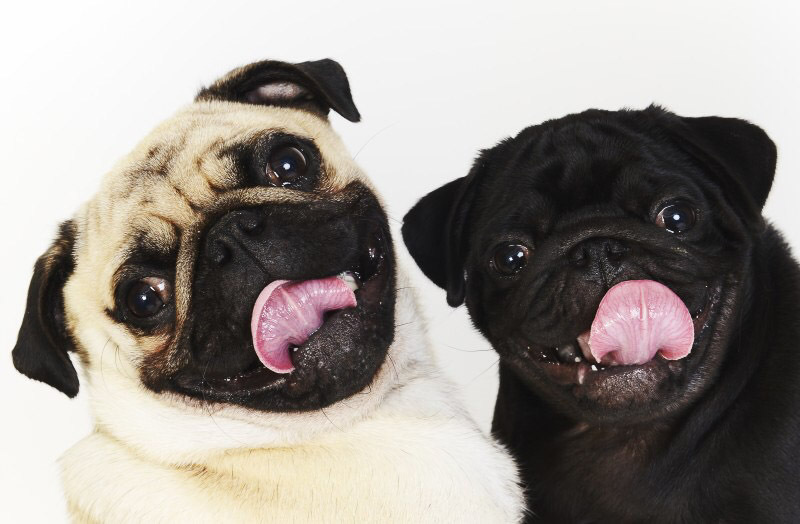 We love sharing all of the awesome pugs including Pugsley & Loki. 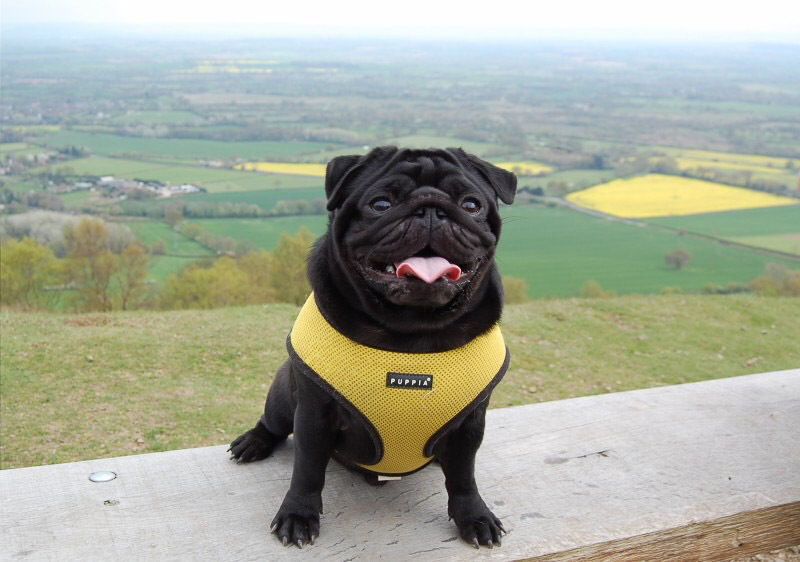 we also have a black pug called Loki! They are nearly exactly the same except our Loki is one month older and its his birthday next month! Our Loki loves food too – he is extremely greedy. Loki has an older sister called Kira who is a white Siberian husky – little and large. They love each other. 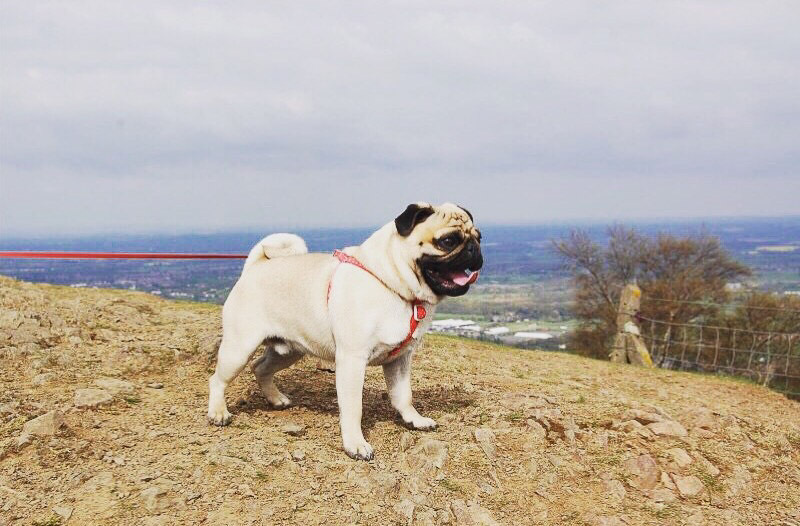 I think our Loki would like to meet Pugsley and Loki but we live in Scotland!